If you are an experienced QuickBooks® Desktop (Pro, Premier, Accountant or Enterprise) reports customizer, you know how great QuickBooks is for building custom reports on the fly. 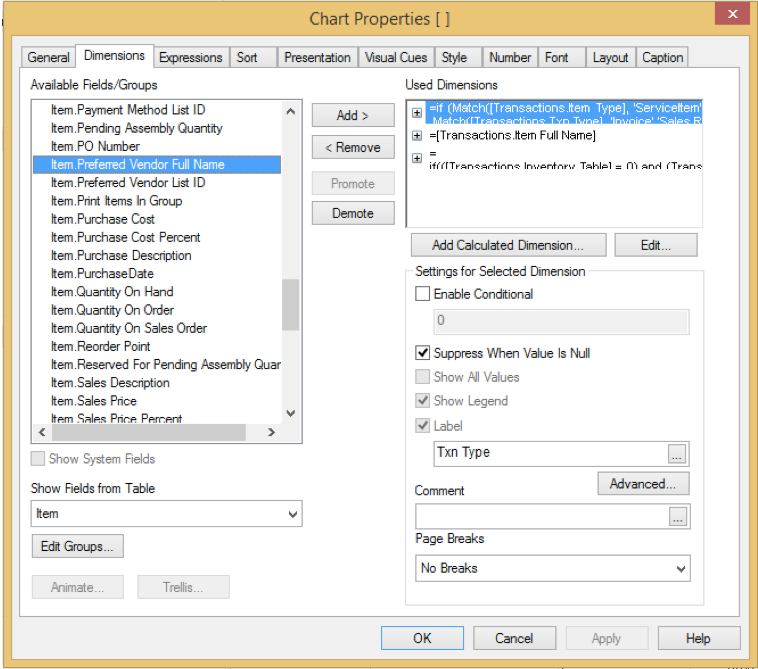 However, there are some really important restrictions to know about, including what I think is most prevailing: QuickBooks can only build a report using data from two types of tables. 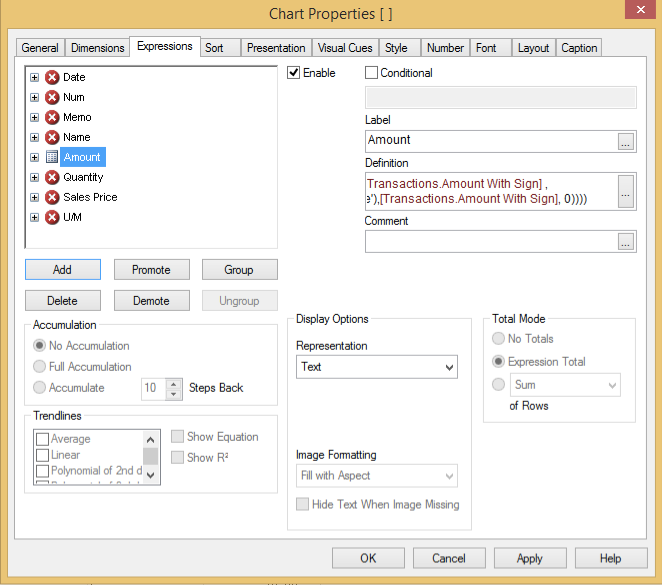 Transactions: These are the fields/data points that live inside each transaction, such as Invoices, Bills and Checks. Names: These are the tables that store Customer, Vendor, Item and Account Information. So, the issue is that you cannot pull up a report, such as “Sales by Preferred Vendor,” using QuickBooks custom reporting functions. 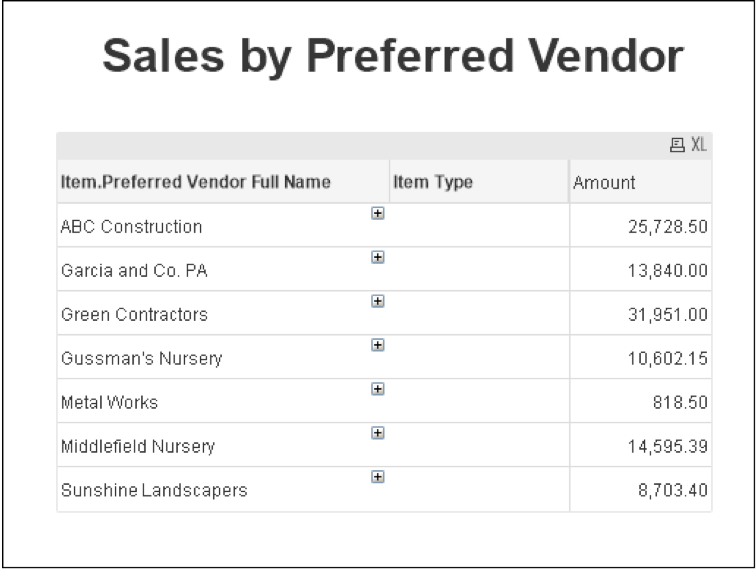 That’s because Preferred Vendor is a data field that lives in the Item List table and Sales is going to be part of the Transactions Table (such as invoices and sales receipts). Therefore, you would have to pull two different reports and then use some sort of VLOOKUP formula to put it together … I know some of you Excel gurus have probably figured out how to do this. However, this is not a sustainable process because it will likely require the use of a consultant every time the report needs to be built. 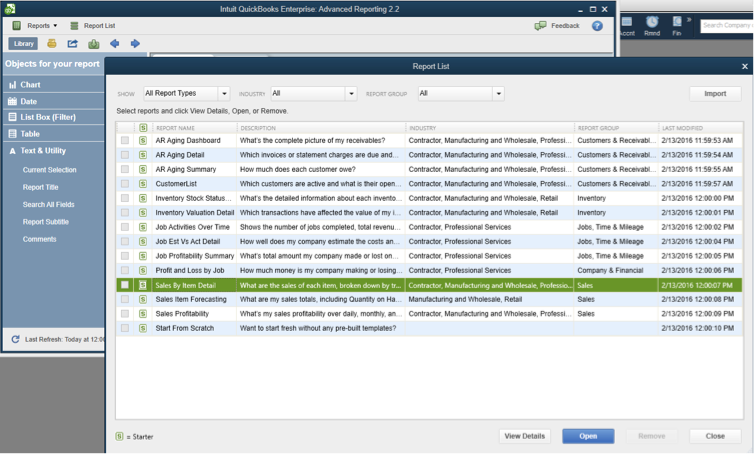 If you have QuickBooks Enterprise 14 and above, along with an active annual subscription, you can use the new Advanced Reporting add-on called QBAR (included with your subscription) to create this report. There are quite a few videos in the QuickBooks Enterprise Learning Center on QBAR. 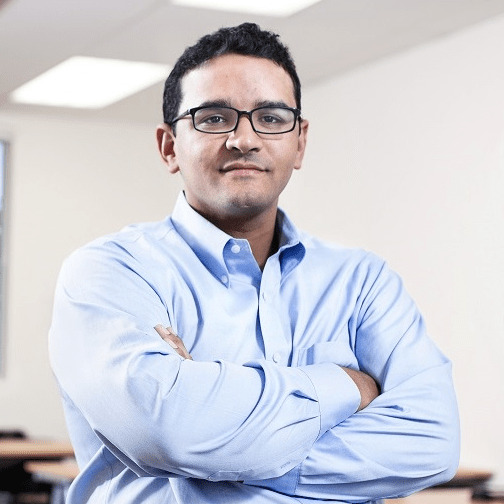 I interviewed Joseph Lasee, senior product manager for QBAR, asking him how to create a report like this step by step, and to shed some light into how this compared with QuickBooks’ standard reporting capabilities. Watch the video here, or click on the box below. 1. 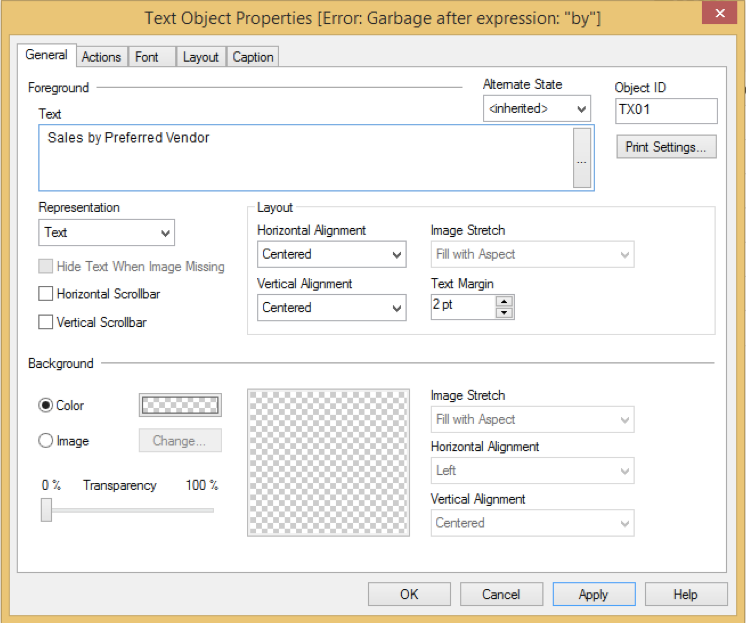 Go to the Reports menu and click on Advanced Reporting to run QBAR. You must be in multi-user mode and have user permissions to run QBAR if you are not the Admin. 3. 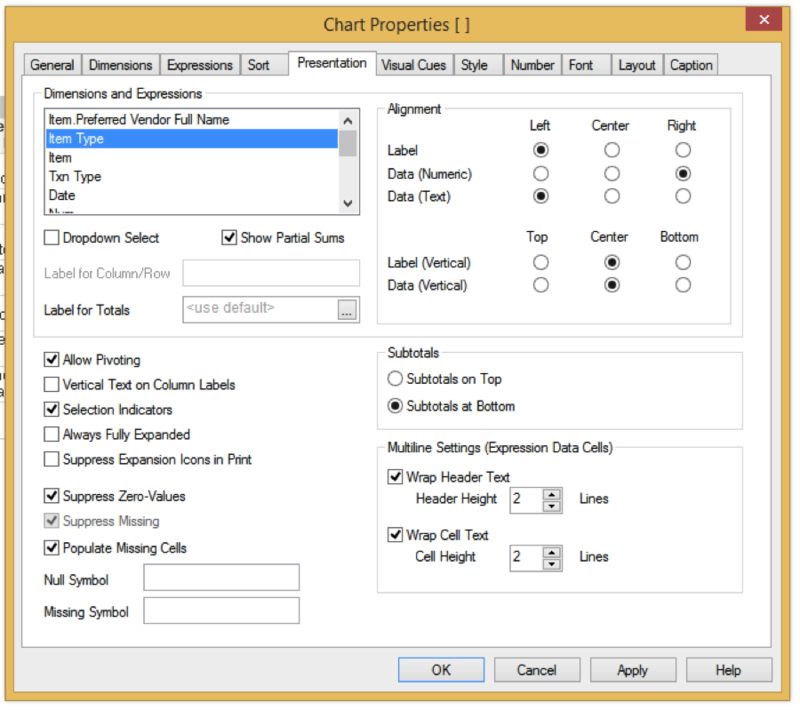 Right-click on the light gray bar on top of the “chart” (in QBAR, any table with data, whether it’s graphical or not, is called a Chart), and click on properties. 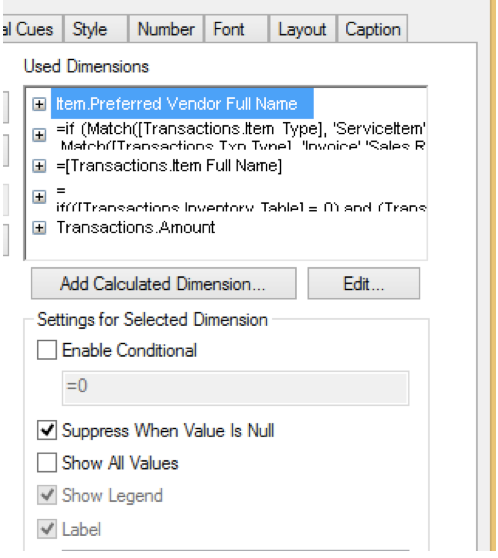 Optionally, you can click on Suppress When Value is Null if you do not want to see any numbers for items that do not have a preferred vendor. This is just one example of the great potential that QBAR has for building those very specific reports your clients may need in order to make faster and better decisions. There are currently a limited amount of learning resources on QBAR, but I have dedicated a page on my site to aggregating all the resources I know on Advanced Reporting for QuickBooks Enterprise. I will also keep updating the page as more and more resources become available! Now, although I am writing this article, I will confess that I am not an expert in this tool by any means. I had to spend a few hours to get familiar with it and my interview with Joseph was very helpful. So, I made it my goal this year to become more and more confortable with this tool so that I can add a whole new dimension (no pun intended) of service to my current clients and potential new ones. The fact that this is not an easy tool to get started with, and that there isn’t a whole lot of consultants that have mastered this tool, presents a great opportunity for QuickBooks ProAdvisors!® Although the learning curve is long and there are many hours of trail-and-error experimentation until you build the comfort level to go out and offer Advanced Reporting customization services, I guarantee the rewards will be worth it.